Buying Olympic medals: Should countries use citizenship as currency? The United States attracts accomplished veteran athletes like a magnet, enabling them to switch citizenships quickly and easily. Between 2000 and 2008, about 50 athletes who had competed in international events for their countries became US citizens, including ten from China. Together, they won eight medals at the Olympics for the new country. Phillip Dutton, the Australian equestrian rider, represented Australia at three Olympics and won two gold medals at the 1996 Atlanta and 2000 Sydney Games. In 2006, he became an American citizen and won the team Gold and individual Silver at the Pan American games in 2007. He represented the US at the 2008 Olympics, but was disqualified for wearing boots that were too heavy. Matt Read, the New Zealand-born triathlete, then ranked 45th in the world, and struggling to make the Olympics with the Kiwis having two of the top four competitors in the sport, became an US citizen in 2007. He was named USA’s Triathlon Athlete of the Year for 2008, qualified for the 2008 Olympics and finished 32nd, and also finished fifth at the 2008 World Championships, representing his new country. Table tennis is another event that is dominated by ‘imported’ players. Between 1992 and 2008, nine of the 18 members of the US team, were foreigners, including six Chinese. In one of the most blatant attempts by the U.S. that occurred in 2005, three foreign born ice dancers – Belbin from Canada and Maxim Zavozin and Sergei Magerovski from Russia – were granted expedited citizenship through special legislation signed by President Bush. Belbin and her partner, Ben Agosto of Chicago, became the darlings of American figure skating. Their Olympic silver at the 2006 Winter Games eventually gave the U.S. one more medal than Canada to enable the U.S. to finish second in the standings behind Germany. That was surely a good result! The U.S.A. is hardly the only country that benefits from this phenomenon which is often labelled ‘Sporting Migration’ or ‘Olympic Citizenship’. The 2012 London Olympics probably saw this played out in its widest form so far. Team Great Britain had 60 players out of their 542 entrants, who were born elsewhere, the majority of whom secured passports not too long before the Games. Cynics labelled them “plastic brits”. This is perfectly acceptable as per the Olympic Charter (Chapter 5, Rule 41) as long as the athletes have lived in the country for which they are competing for at least three years. However these cynics are not convinced. But this is not a new phenomenon. Anyone who has followed the Olympics for a while will remember the South African 3000m barefoot runner who was given a very fast track British passport (her grandfather was British) in order to represent Britain at the 1984 Los Angeles Games. She ended up in a tangle with the home favourite Mary Decker, who fell, and Budd was shaken up and ended up slowing down (she now says deliberately) and finishing seventh. A country which is happy to use the Olympic Charter’s leeway in this regard is Israel, which gives automatic citizenship to all jews under the ‘Law of Return’, that could mean having a Jewish grandparent, a Jewish spouse, or Jewish parents. Not surprisingly, any athlete who qualifies under this law and has difficulty in making the team in their country of origin, would be tempted to try and qualify for the Israeli Olympic Team. At the 2012 Olympics, of the 37 athletes competing in London under the Israeli flag, only 20 were born in Israel. So both athletes and countries seek and embrace such “arbitrages” if we can call them that. But so what one can ask? Why is it a bad thing, if at all? There are clearly some benefits. Sportspersons spend their entire lives in pursuit of success in the very short time that their bodies will allow. If changing their citizenship allows them to reach the pinnacle of their career, patriotism may be a small price to pay for it. And from a nation’s standpoint, if sticking to the Olympic Charter allows them to significantly enhance their chances of getting a few medals and directly helping the cause of the sport in the country, a citizenship is not only a small price to pay, it may indeed be a desirable strategy in the long run. One can also argue that citizenship competition improves the competitiveness of the Olympic Games themselves. In a pretty unique twist, at the 2008 Olympics, the U.S. Basketball team faced better competition because Russia had two NBA players and Germany had one. All three of them were born in the U.S., but chose to take the citizenship of those two countries. Also at the 2008 Olympics, Milorad Cavic, an American-born dual citizen of Serbia and the U.S., broke the Olympic Record in 100m butterfly heats swimming for Serbia, beating Michael Phelps to second place. In the finals, he came in a close second to Phelps, losing by 1/100th of a second. One clear negative effect of importing foreign sportspersons and granting them citizenship in order to win medals is that the chances of home grown athletes to represent their country at the highest level are altered. And it’s not always obvious that taking foreign athletes at the expense of home-grown athletes is a winning formula. Yueling Chen, a 1992 gold medal winner for China in the 10km Walk, qualified second for the U.S. team for the 2000 Sydney Olympics. In the process, Joanne Dow, the U.S. national champion from new Hampshire, who was recovering from a minor knee surgery at the Olympic trials, finished fourth and did not make the team. 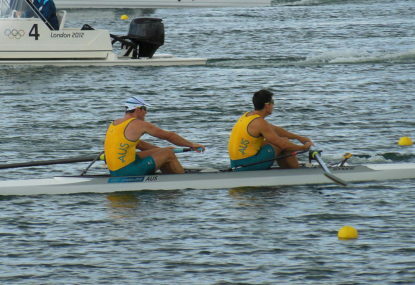 However, Chen performed poorly at Sydney and finished third from the last. Dow finished second at the Olympic trials in 2004, but the U.S. was only given one slot, so she could not compete at LA. Finally, at the age of 44, eight-times U.S. National Champion Dow qualified for the 2008 Olympics in the 20km walk, and finished 31st. Joe is not Chen’s or indeed ‘Sporting Citizenship’s’ biggest fan. There are many examples like this in world sports. But this is one of those debates that do not seem to have a clear outcome. There are arguments on both sides. What is clear is that just like when the requirements to be an ‘amateur’ athlete were done away with, the Olympic movement did not collapse – as many cynics said it would. Therefore, having ‘Olympic Citizenships’ is a change that is here to stay, and much as some would like it to go away, a more connected world will ensure that it stays put.